According to research firm, NPD, the plus-size market in the US generated $17.5bn in sales from March 2013-April 2014.‎ ‎A market research firm IBIS World has reported that consumers are forecasted to spend $332 million on 14+ athletic gear in plus stores this year. Department store chains like Old Navy, H&M, Forever 21, and Gap have realized that money can be made in plus fashion. Target’s AVA and VIV brand sales have exceeded expectations and plus retailers like Lane Bryant are making considerable profits. A lingerie company called Adore Me, found that plus size brunette models sold more lingerie then stick-thin blonde models. One of the most promising places to find plus size clothing is flock to some of the high quality online shopping outlets. 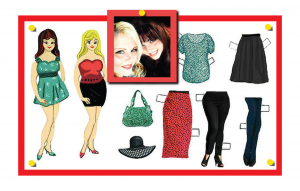 iGIGI designs and manufactures contemporary women’s plus size clothing in San Francisco. IGIGI’s mission is to transform the world’s view of beauty! Named after an ancient goddess embodying vitality, charm, and intelligence, IGIGI creates smart, stylish and sophisticated collections for women with curves that accentuate and celebrate their bodies. Igigi has the most beautiful dresses and a handy shape stylist that will aid in picking clothing that will suit and fit your body shape. We go to Igigi when we need a perfect standout dress for an evening out. In 1996, Kiyonna founder Kim Camarella-Khanbeigi went on a vacation retreat with some of her plus sized friends. She noticed none of her friends had labels on their clothing…when she asked them why..she found out that her friends couldn’t find any clothes that were cute and stylist and their mothers were sewing the garments from scratch. The idea for Kiyonna was born. The Designer offers beautiful clothing, separates, dresses, bathing suits and accessories. We once associated Lane Bryant with clothing that was too conservative and designed for older women, but the designs of the clothing have taken a major leap in the right direction. Clothing is well constructed, on trend and the prices are competitive. Cacique plus size intimates are a Lane Bryant exclusive..the lingerie is simply gorgeous. Torrid is a fantastic site for the super trendy fashionista who is enmeshed in pop culture. They have everything from graphic tees, to skull print dresses and leather pants. They have a great selection of denim and breezy sundresses this year. The clothing is very inexpensive and makes it easy to buy many on trend pieces. Yours Clothing, has a wide selection of beautiful clothing, that’s geared toward a younger crowd. The clothing is inexpensive and we have purchased many skater dresses and blouses from the site. The cuts of the clothing are very flattering and the measurements are true to size. We love that this website actually offers a runway with plus models displaying the clothes, you can get a real sense of how that garments will fit you and where it will fall. Yours has also hired our favourite plus model Tess Holiday, to model their lingerie line.